Youth Money Olympiad (YMO) is the largest financial literacy test in India for college students. The two companies involved in the YMO are Money Wizards, which focuses on providing user friendly financial literacy to all those who need it, and Principal Mutual Funds, one of the top performing mutual fund companies in India. It attracts over 15,000 participants from more than 150 colleges all over the country including the IIMs. The students are assessed on the basis of a personal finance IQ test conducted first at the college level, and then at a national level. National level winners are duly awarded at a prize distribution event hosted by Principal PNB AMC at NSE Mumbai. 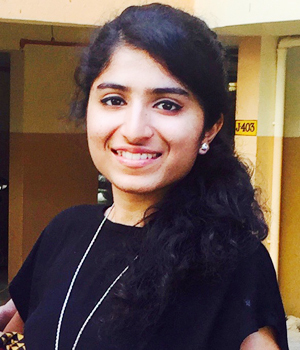 Ananyashree Garg, a sophomore student pursuing Bachelor of Engineering in Computer Science, BITS Pilani had participated in Youth Money Olympiad 2017. After the 1st round she was ranked as the YMO College Topper, and was promoted to the 2nd round. After the 2nd round which was held on21 May 2017, she was ranked 3rd at national level. She will be receiving the prize for winning 3rd rank in May end at a grand ceremony, which will be held at National Stock Exchange (NSE) Mumbai. Ananyashree Garg is a hardworking and dedicated student. She had presented an app based project in APOGEE 2016, the annual academic festival held at BITS, Pilani campus and was awarded the 2nd prize. She also worked as a data analyst intern at EDUREKA (a startup - an online learning platform). She will be working at Indian Institute of Remote Sensing, Dehradun for her PS1 (Practice School for Industrial Training). She has always shown keen interest in honing her academic skills while maintaining a balance with extra-curricular activities. She loves to participate in Olympiads from her childhood and has won many awards. BITS Pilani students Vidhi Jain, (2014A7PS113P), Kapil Singhal (2013A7PS038P), Ameesha Mittal(2014A7PS107P) and M Sharat Chandra (2014A7PS108P) have qualified the first round for Microsoft's Build The Shield Competition and have been invited for the Grand Finale at Hyderabad on March 19, 2016. They have secured an All India Rank of 29 out of more than 300 teams which participated. Only top 50 teams have been selected and they are one of the five teams which got selected from BITS Pilani, Pilani Campus.